The Vinnies shop at 107 Sydney Road is full of fantastic treasures, old and new. Bargain hunters, vintage hunters, people on a budget and people looking for something unique will all find something great at Vinnies on Sydney Road Brunswick. 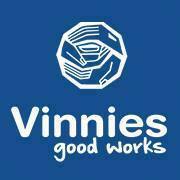 Funds raised by Vinnies shops are used by the St Vincent de Paul Society to support local people in need.